The findings suggest that the cost of textbooks is negatively impacting student access to required materials (66.6% did not purchase the required textbook) and learning (37.6% earn a poor grade; 19.8% fail a course). Time to graduation and/or access is also impacted by cost. Students reported that they occasionally or frequently take fewer courses (47.6%); do not register for a course (45.5%); drop a course (26.1%), or withdraw from courses (20.7%). NEW US NATIONAL STUDENT DEBT FIGURES: A new report from The Institute for College Access & Success (TICAS) reveals that students from the class of 2015 who took out loans to pay for college graduated with an average debt of $30,100. The figure, which is up 4 percent from the previous year, captures the average debt of students who received a bachelor’s degree from either a public or private nonprofit college. Nearly seven in 10 graduating seniors in 2015 used student loans to finance their education. These numbers underscore the importance of efforts to reduce college costs including OER. OPENSTAX GOES OUT OF THIS WORLD: OpenStax has also released its newest open textbook, Astronomy. Designed to meet the scope and sequence requirements of one- or two-semester introductory astronomy courses, this is the first open textbook within the discipline. ONTARIO STUDENT LEADERS GO OPEN: This week, eCampus Ontario hosted a Student Engagement Seminar, bringing together student leaders and staff from the province’s five largest student organizations to learn about OER. The event provided a rare opportunity for the various groups to meet with one another and engage in conversations about strategic approaches to OER advocacy and how OER can be used in learning. Brady Yano (SPARC) and Kelsey Wiens (Creative Commons) were present to help guide conversation throughout the day. SEE YOU AT #OPENED16: Our next OER Digest will be put together at the 13th Annual Open Education Conference. With one of the community’s capstone events just around the corner, we recommend taking a minute to check out the awesome program. Looking forward to seeing you there! OPPORTUNITY: Southern Utah University is beginning a peer-reviewed open digital publication titled Case Studies in Open Educational Resources. Submissions related to any field or level of education are invited. For more information contact csoer@suu.edu. Have suggestions for the next edition? Let us know at oerdigest@gmail.com, or tweet us @OERdigest. 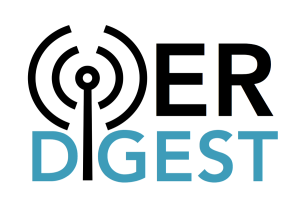 You can subscribe to the OER Digest here. SMALL STATE, BIG ACTION: Last week, Rhode Island became the latest state to launch an effort to address rising textbook costs through the use of OER. Governor Gina Raimondo announced a challenge for the state’s higher education institutions to save students $5 million over 5 years through the use of OER. The Rhode Island Open Textbook Initiative includes support from 7 higher education institutions in the state. SPARC and the Open Textbook Network have both signed on as partners to support institutions as they work to meet the challenge through expanded OER adoption. STAX OF CASH: The open textbook publisher OpenStax announced last week that more than 1.5 million students have used their free textbooks. The numbers? OpenStax founder Richard Baraniuk sums it up best: “More than 811,000 students are using our books this fall, which is a 106 percent increase over spring 2016, and the books are being used in over 4,500 courses at 2,688 universities, colleges and high schools.” The Rice-based publisher also announced that they expect students using their books to save a collective $70 million in the ‘16-’17 school year. NEW ENGLAND GOES OPEN: School leaders across the New England region went to Amazon’s Boston offices to attend the #GoOpen summit hosted by North Reading Public Schools on Sept. 23rd. They had a jam-packed day as they networked and learned about the #GoOpen campaign, the basics of OER, implementing OER in classrooms, and scaling OER across the district. OER community leaders led many of the sessions, and participants had the chance to meet with many different education vendors. Kristina Peters and Andrew Marcinek, current and former #GoOpen leaders at the Department of Education, also spoke. RUTGERS GETS ROLLING: The new Open and Affordable Textbook Project at Rutgers University in New Jersey launched this week, with a goal of saving students $500,000 in its first year. $1,000 grants will be made available to 12 different groups at the three main Rutgers campuses and Biomedical branch, and more than 100 faculty have already expressed interest in the program. Librarians and students are leading the charge. FULLERTON CONTROVERSY RESURFACES: OER advocates may remember the controversy around CalState Fullerton Professor Alain Bourget last school year, when he assigned a cheaper textbook and OER to his class in place of the Department-required book and was reprimanded by the university. Last week, the Orange County Weekly looks at the fallout in a feature-length story on Professor Bourget and the Cal State Fullerton Math Department and where they are now. ACCESS MATTERS: A new study suggests a link between funding for K-12 textbooks and student performance. Conducted by a researcher at the American Institutes for Research, found that students at California schools with additional funding for textbooks tend to perform better on state reading and math tests than those at schools with less textbook funding. The study points to textbook shortages caused by lack of adequate funding in an era when prices are rising rapidly. These findings reinforce the opportunity to leverage OER to provide better materials to all students at a lower cost, and thereby reduce inequities caused by access to materials. B.C. STRATEGIZES: BCcampus hosted an Open Education Strategy Forum this week, bringing together leaders from B.C. post-secondary institutions to engage in conversations about strategic approaches to integrate Open Education practices to improve quality of education. The OER Digest is your bi-weekly newsletter for open education updates, opportunities, and reminders. Subscribe to get it delivered to your inbox every other Thursday. Except where otherwise noted and to the extent possible under law, OER Digest has waived all copyright and related or neighboring rights to this work. If you republish or reuse this work, we kindly ask that you attribute the OER Digest and provide a link back to oerdigest.org. This work is published from the United States.